Gift is a silent way of communicating, receiver can get to know one’s particular taste, giver’s wisdom, talent, emotion and temperament : Gift is a continuation of character. 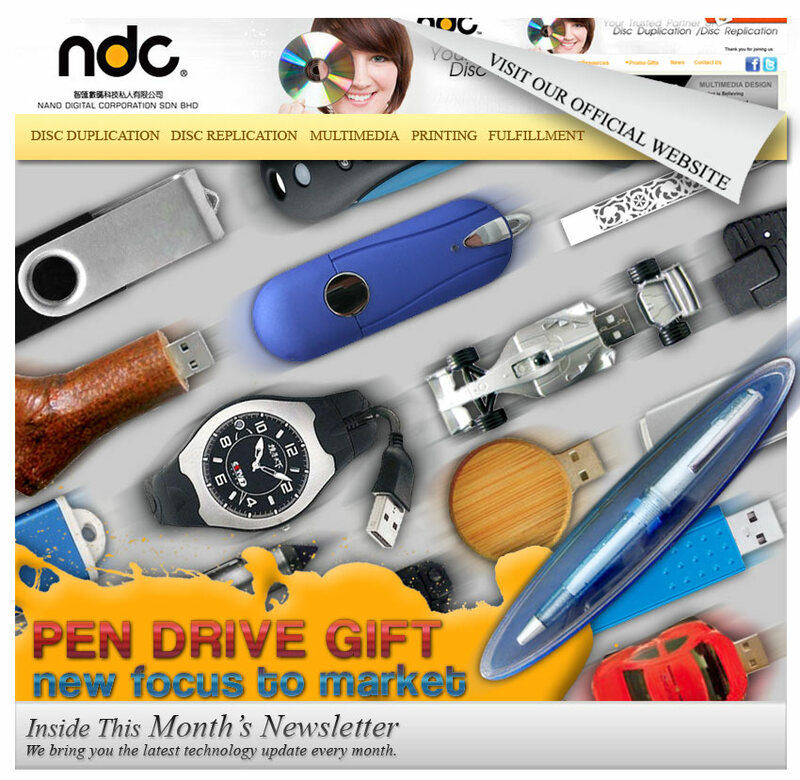 It act as a cultural bridge between the state and is also a pass on the business market; nand digital corporation sdn bhd has been expertise in pen drive gift for years and knowledge in international pen drive marketing, providing customer with professional pen drive services. Gift Pen Drive (also known as USB flash drive) being a practical electronic products, are most welcome in any form of enterprises, especially company exhibition gift, holiday gifts, business gifts, community activities awards, school awards, government procurement, and other gifts. Due to its small and practical usage electronic storage products, portability, ease of use, long lasting , fast transfer rate, affordable price and also provide logo for companies, enterprises, associations and schools etc…. Choose from the professional pen drive manufacturing provider is an ideal way to improve your business fame! Since it is low in cost for its production, silicon pen drive becomes the most widely used pen drive, it is soft while holding in hand, resistant to dirt, easy to use and available in variety of styles. Derive from personalized jewelry and ornaments, it is made from rhinestone and alloy. This kind of pen drive mainly target on female market, which can reflect out its excellent quality. Mainly divide into smooth and glossy surface, with non-rusty material. Laser printing are use for printing logo on metallic surface. With waterproof and shockproof function, cover with small plastic or metal flakes, widely use as handphone decoration,is one of the more popular kind of pen drive, mainly target on domestic and foreign large gift company market. The most affordable pen drive gift, mainly use screen print to apply logo on the pen drive, because of its lightweight and low cost materials, are able to produce in large quantity. It is target on major market for large enterprises, large supermarkets and chain stores. Main material are full grain, corrected, and split, 3 kinds of leather, colors include orange, blue, black and so on. Types include buckle type pen drive, wristband pen drive, button pen drive, leather bound pen drive. Eco-friendly pen drive, using natural thin bamboo or wood materials for its manufacture. Consumer market mainly target in Japan and Europe. Customer group mainly target on environmentally friendly, the pursuit of classical beauty of nature, and simplicity, such as , furniture business, sanitation companies, raw materials, import and export companies.